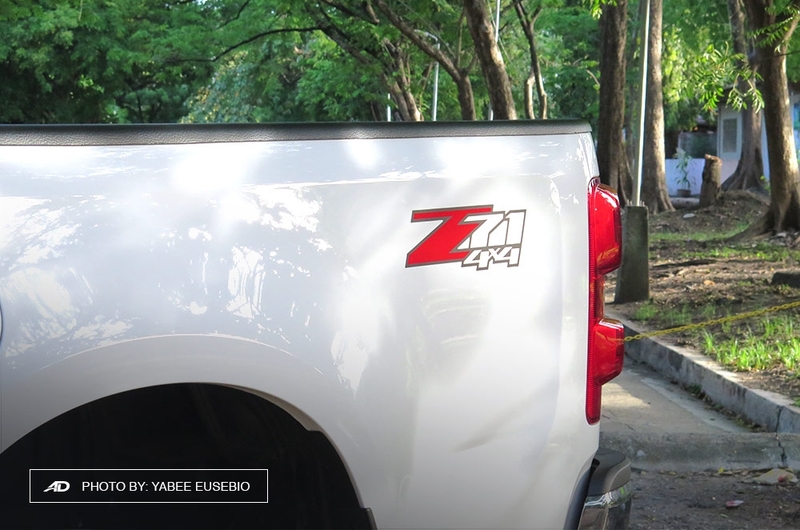 Pickup trucks have evolved from being the old tough workhorses that we know to vehicles that cater to customers with an active lifestyle. 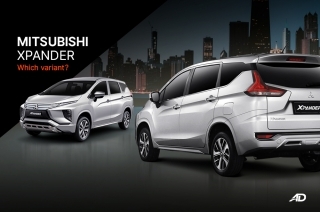 With this, car manufacturers are forced to rethink and reinvent products to keep up with the market's demands. 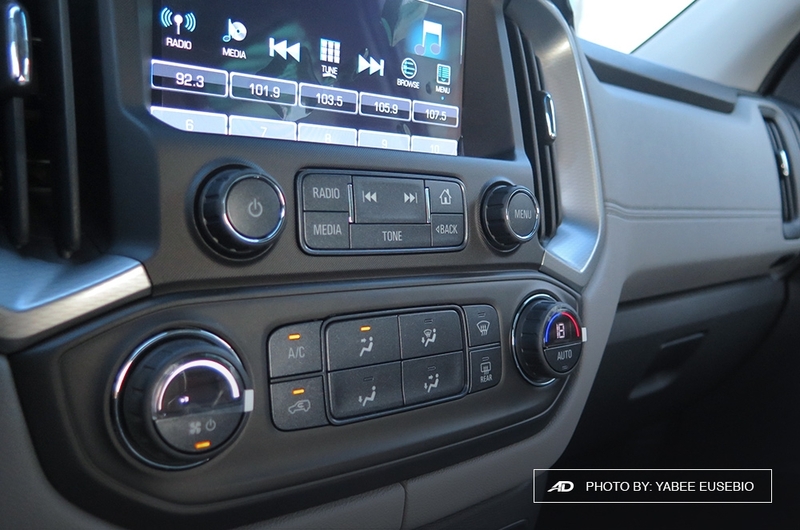 That’s why we see more pickup trucks fitted with more convenient amenities such as intuitive entertainment systems, driver assistance features, and power seats, among others. 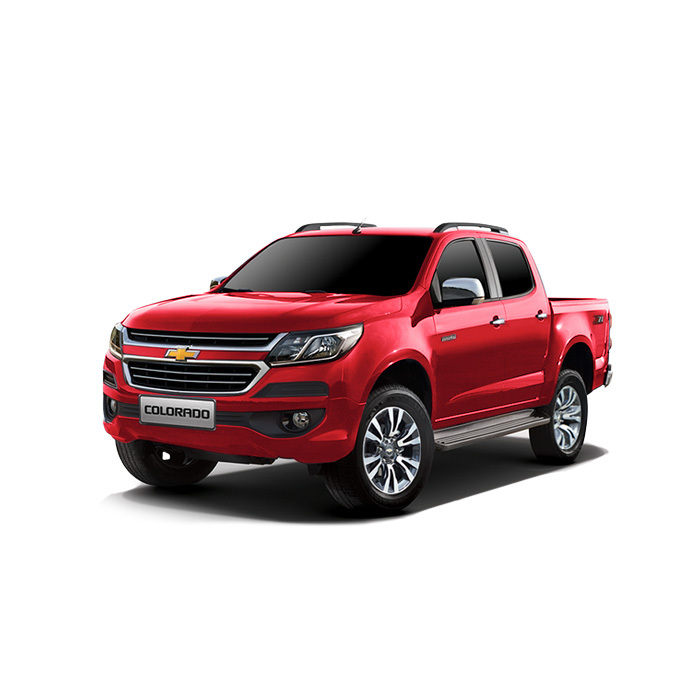 A good example of this would be the top-of-the-line 2018 Chevrolet Colorado 2.8 4x4 AT LTZ, which The Covenant Car Company, Inc. (TCCCI), the exclusive distributor of Chevrolet vehicles and parts, updated this year with more safety features. 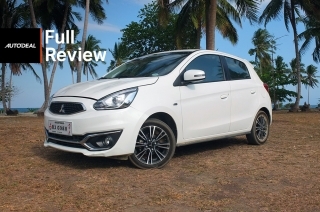 Thankfully, they lent it to us, so we took it for few days spin to get an in-depth review. 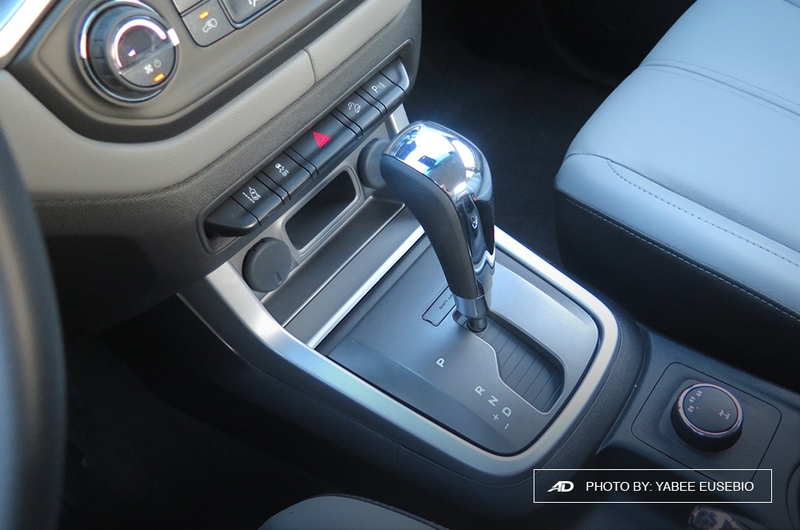 Power delivery is smooth throughout the gears. 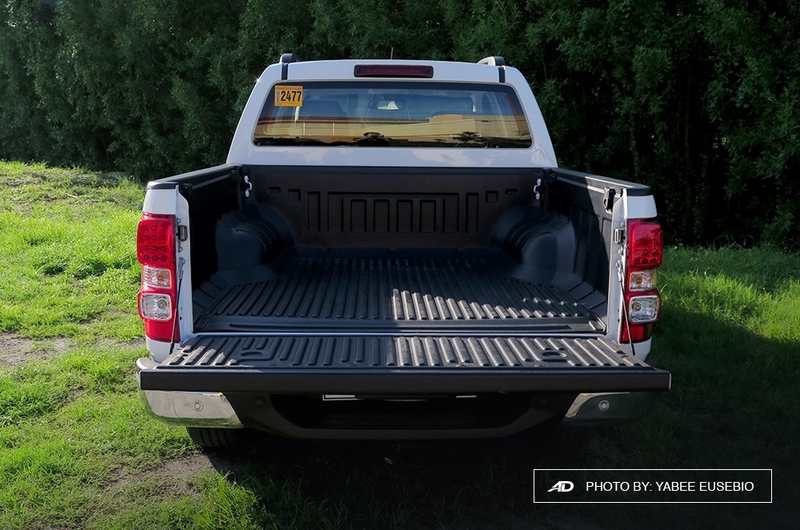 Comfortable ride for a pickup truck. 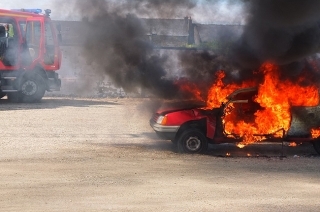 Fuel economy is a little bit high. Hard to manuever in tight spaces. Only has one USB port. 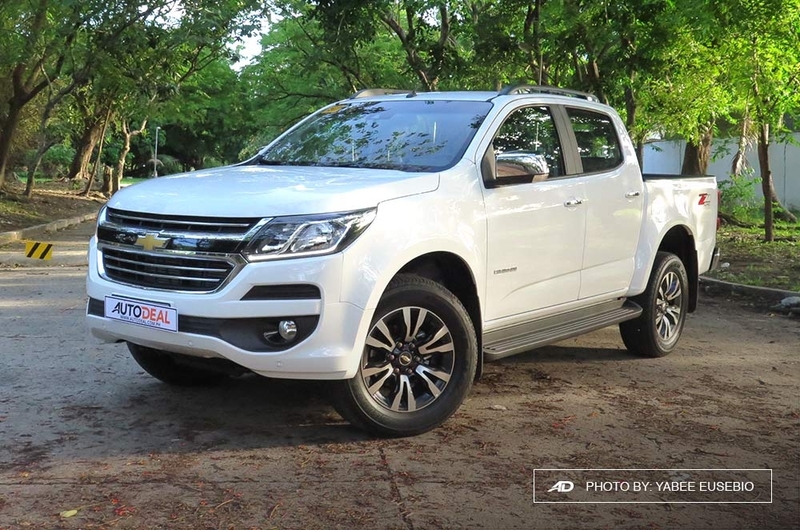 Upon first glance, the new Colorado exudes a dominating stance as it is in fact one of the biggest in its class.This Chevrolet pickup truck comes next to the Ford Ranger in terms of width, height, and wheelbase, but just by a few millimeters. 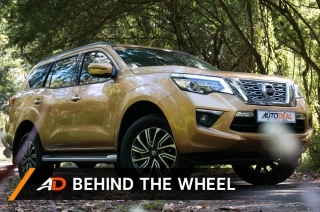 It’s also second in terms of overall length, just 4mm off from the Mazda BT-50. 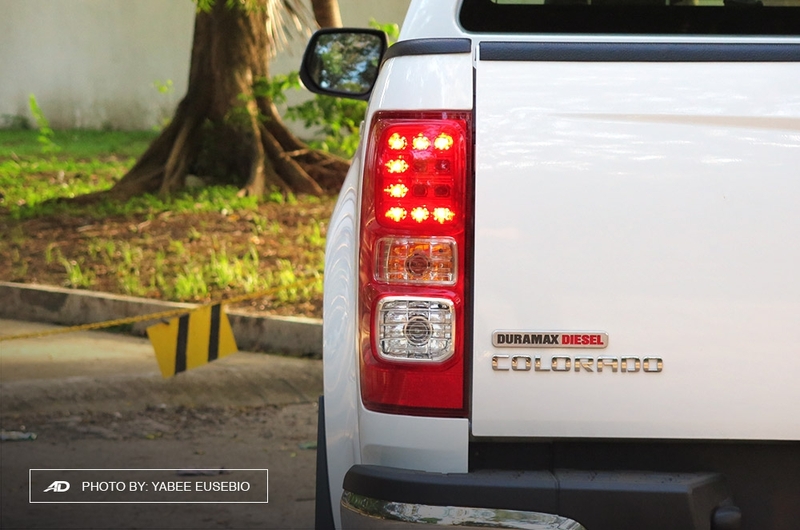 Design wise, the Colorado has a lot of things going on up front. 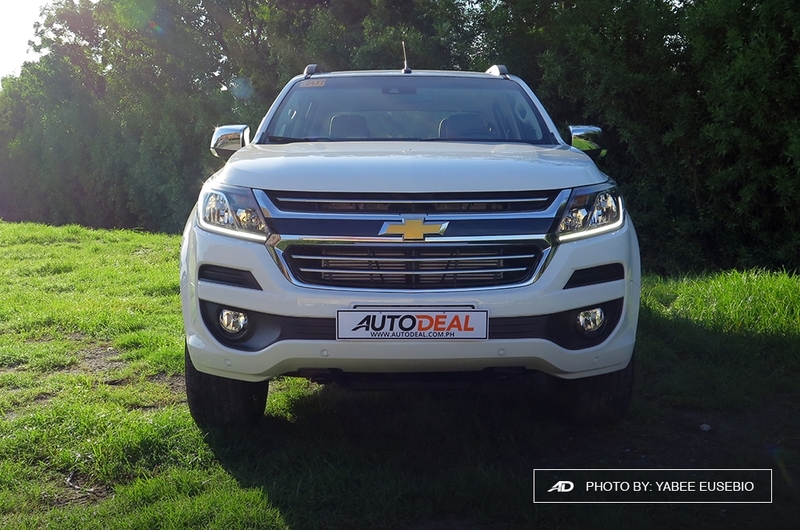 Its fascia features huge rectangular headlights with daytime running lights (DRLs) that appear quite intimidating as it stares down at me. 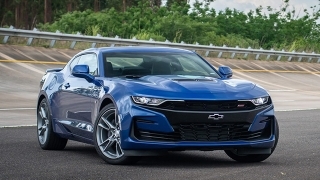 Its prominent grille topped-off by its bowtie badge lined with chrome implies the American brand’s stamp of approval of its durability and performance. 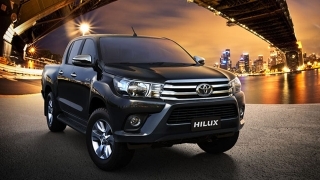 Its front bumper, on the other hand, is very masculine thanks to its chiselled design. That’s until you take a closer look and realize that the side intakes aren’t functional and made out of hard plastic. 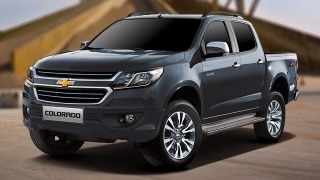 Over to the side, the Colorado has a minimalist, toned-down look topped with the right amount of chrome in its door handles and side view mirrors giving it a “sleeper” vibe. 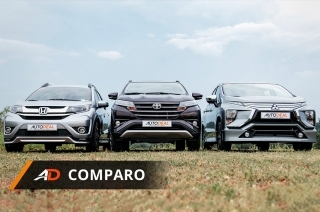 You know, that car that looks plain but eats its competition alive in terms of performance. 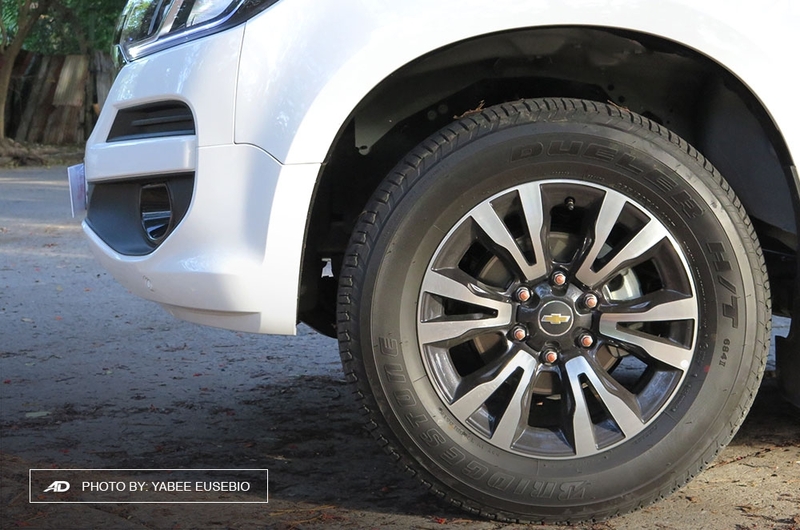 Meanwhile, the gap between the wheel wells and tires, although not as snug, doesn’t give the impression that it skipped its “leg day” workout at the gym. 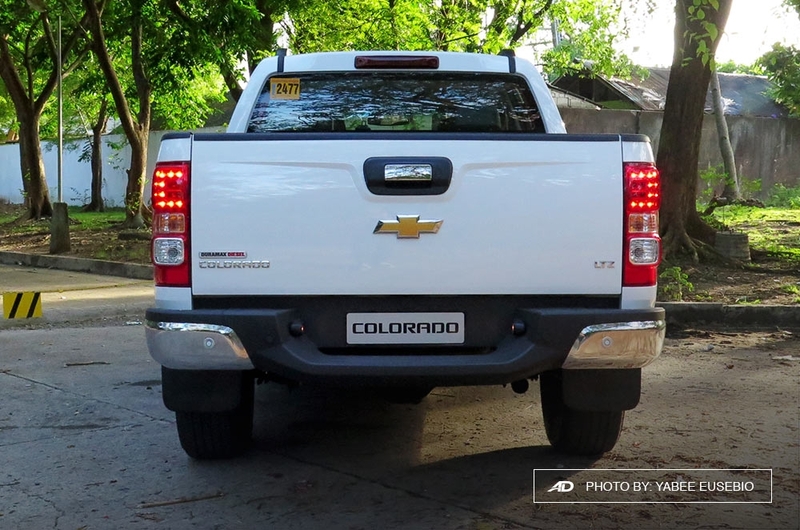 The Colorado’s rear looks a little close to the Ford Ranger with its squared off tail lamps. 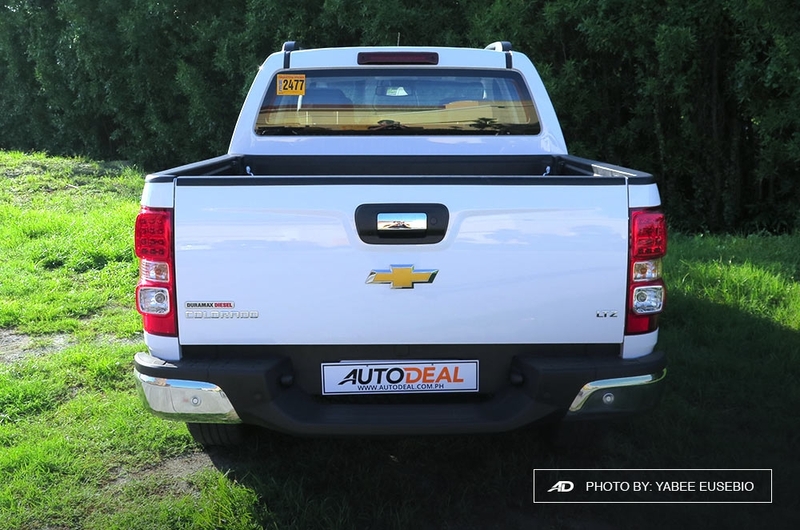 Its tail gate has subtle character lines, and I like where Chevrolet placed its chrome bits. What I like best about its exterior is that its fender flares, character lines, and hood aren’t too prominent. 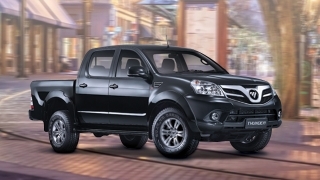 It isn’t too chiselled that it shouts “hey, look at me, I’m muscular” like the other pickup trucks in its class. 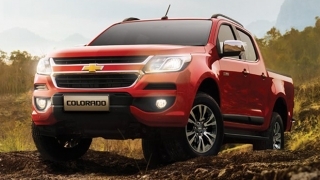 Its curves are seamlessly integrated into its body that you barely notice it’s there, but still gives the Colorado an overall macho appearance. 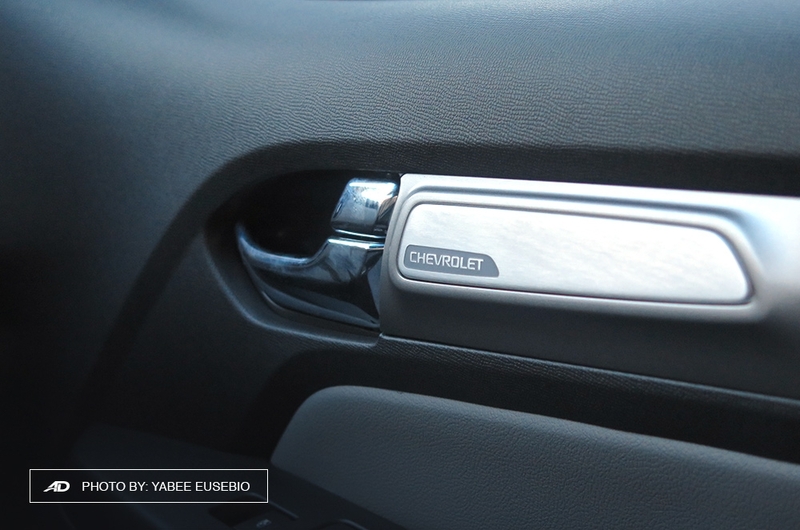 Inside, the Colorado 4x4 LTZ comes with a black and grey theme with a touch of chrome. The seats and some panels are covered in leather giving it a posh feel, while other parts of the interior are made from well-designed, not cheap-looking hard plastic. 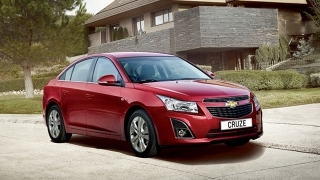 Sitting up front, one cannot miss the Chevrolet-engraved chrome plates by the front door panels. It isn’t much but it somehow adds flair to the cabin. 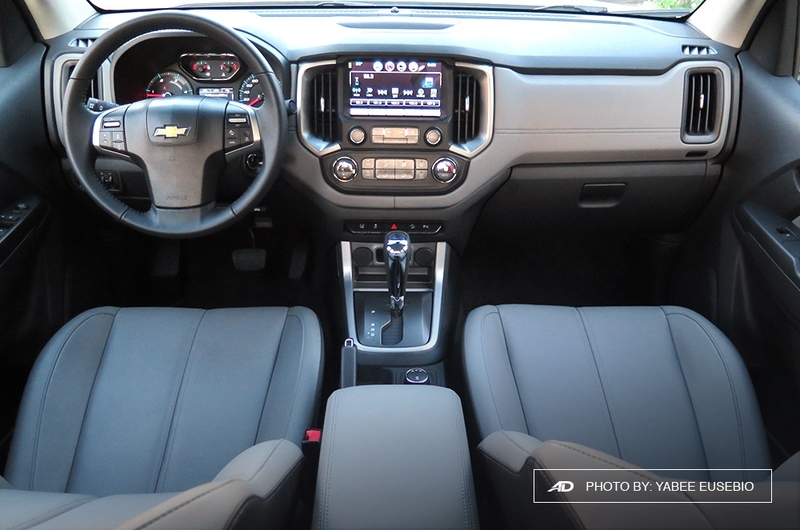 Its front seats are also really comfy, and has good lumbar support compared to the other models in its class. Although for my frame, the seats aren’t as hugging as I wanted it to be, but it’s okay since it’s a pickup truck, not a racecar. 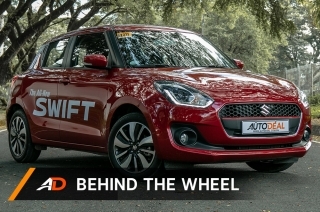 On the driver's side, I liked that the buttons on its steering wheel didn't make me feel like the tito in the family who can't navigate their nephew's tablet. It wasn't complicated to use and easy to read. 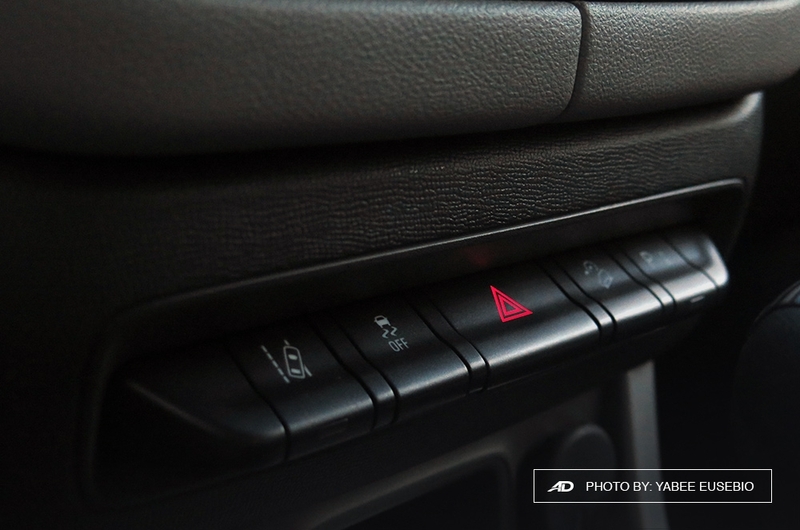 Other buttons on the dashboard were all within my reach and can be easily toggled on and off. 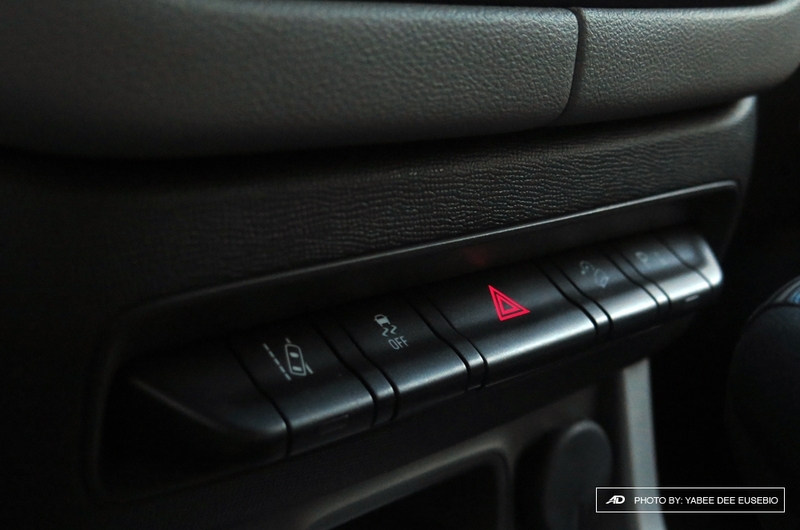 Another notable feature inside the Colorado is its infotainment system. 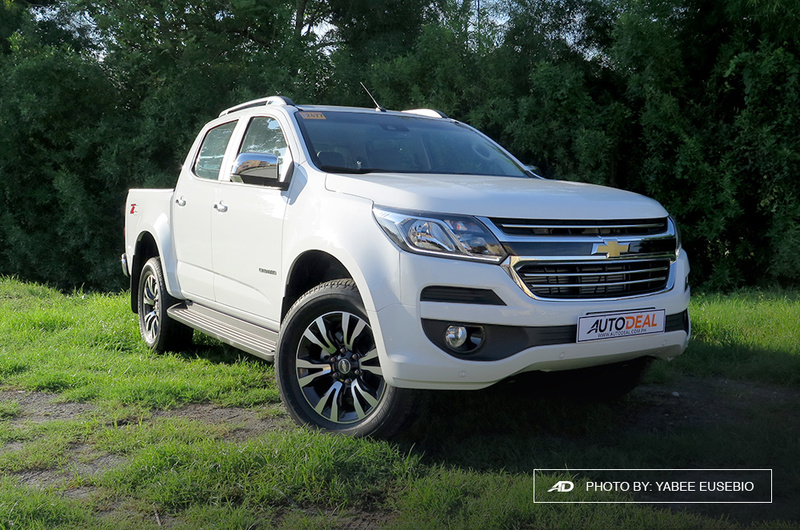 This pickup truck is equipped with an eight-inch touchscreen display that’s loaded with Chevrolet MyLink and Apple CarPlay. 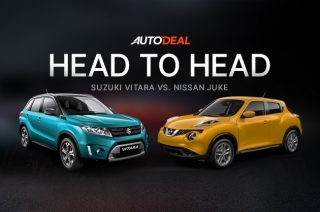 This huge head unit is probably the best among its competitors as it’s very user-friendly, has powerful Bluetooth connection, and its speakers produce impressively crisp sound. Plus, it doesn't have any lag when you use it. Sadly, the Colorado only has one USB port allowing its passengers to connect and/or charge one device at a time. That’s unless you have car accessories like a 12 volt adaptor then you can expand its capability to charge at least two gadgets at a time. 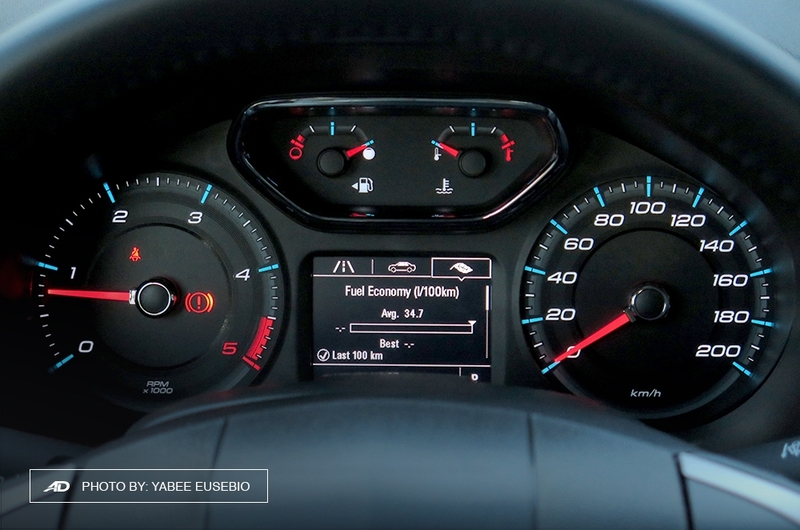 Meanwhile, I dig the simple look of the Colorado’s gauge cluster. Its backlit gauges was easy on the eyes while the characters and symbols were very legible even in the dark. 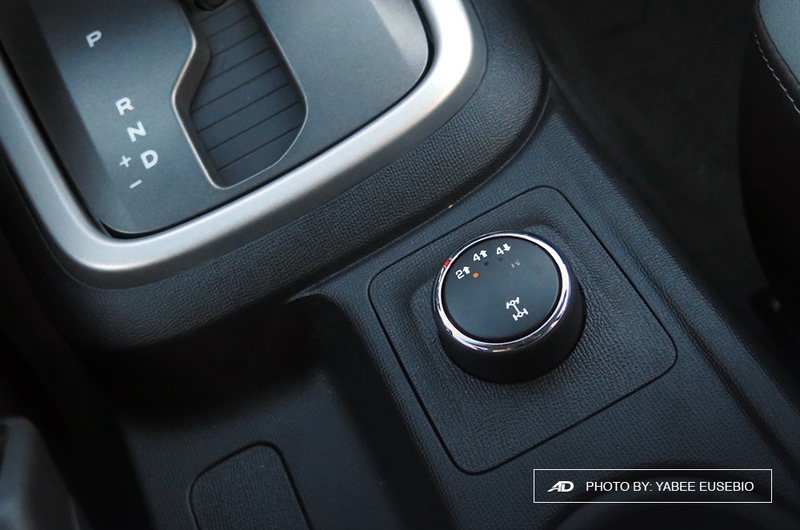 The only downside here is that the Colorado 2.8 4x4 AT LTZ doesn’t come with a push start button. Not that big of a deal but considering the top-of-the-line variants of its rivals has one, it should’ve been standard for this particular unit. 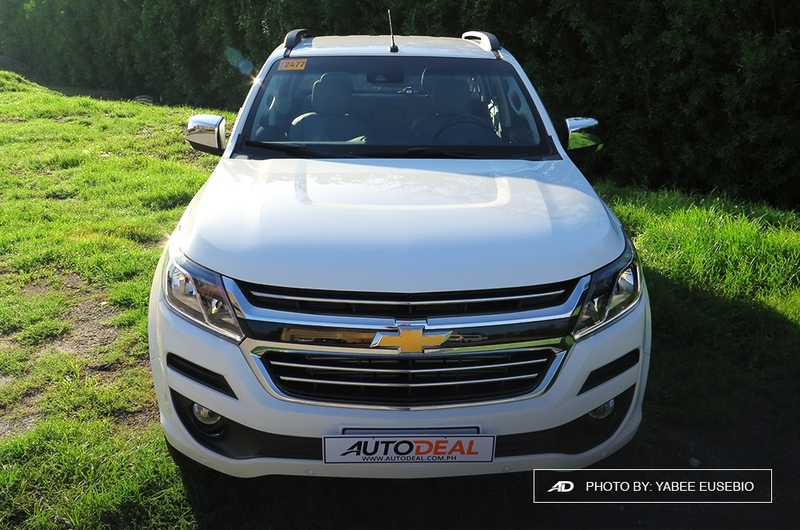 Also mounted on the center console of the top-of-the-line Colorado is its automatic climate control and its huge vents. 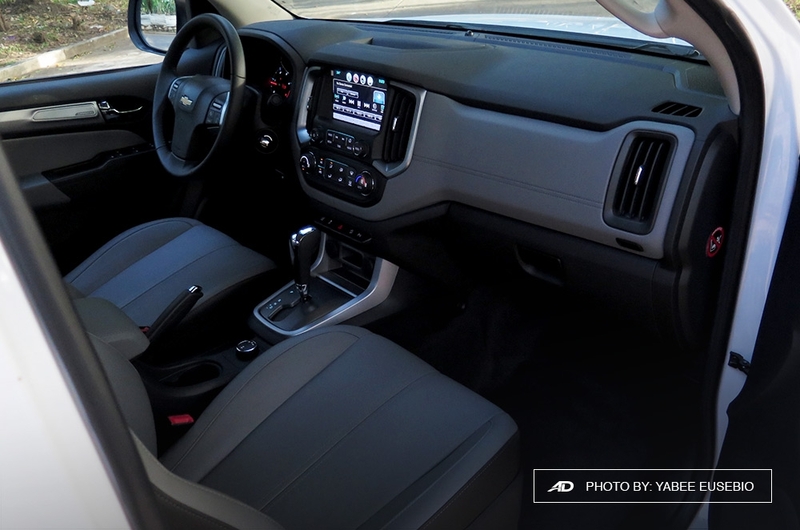 Even though the media unit didn’t have window tint, the air conditioning system was powerful enough to quickly cool down the cabin even when the vehicle was left parked under the sun. 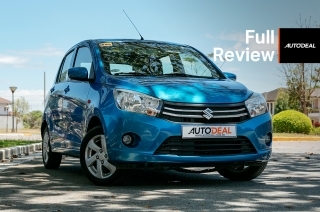 At the back, the rear seats can be occupied by three grown-ups with abundant leg and shoulder room. 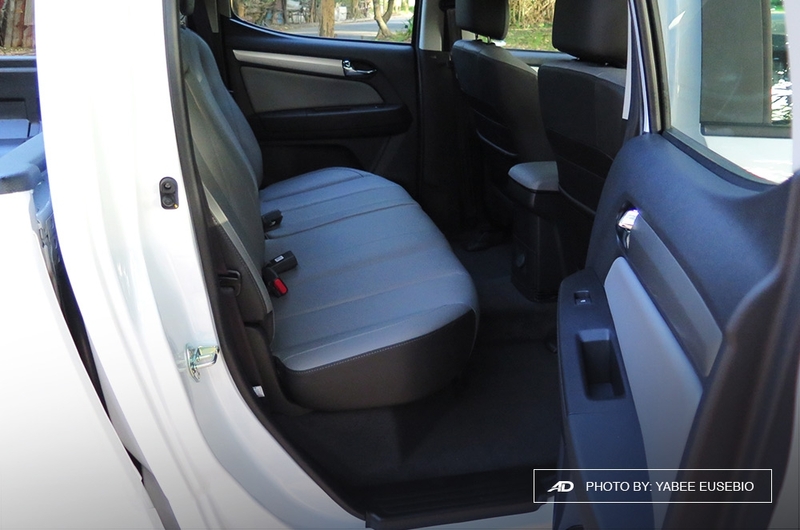 There are no air vents, though, but rear passengers get a 12V socket to charge their devices and a few pockets for small items. The Colorado’s ride comfort is among those at the top of its class. 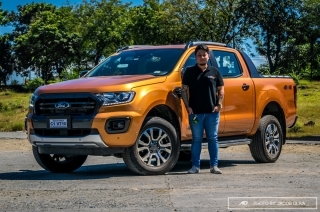 Its suspension is comparable to the Ranger, if not better, which I thought had the best bump absorbing capabilities in the segment. 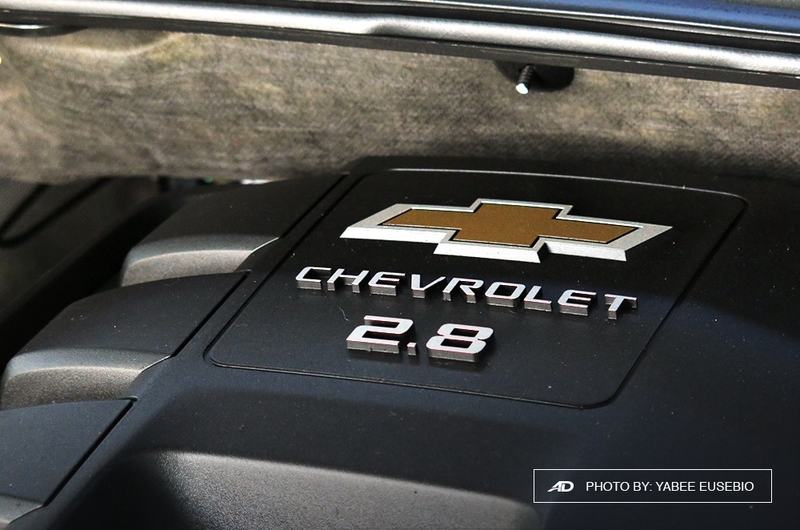 Noise, vibration, and harshness (NVH) levels were kept at a minimum even on the highway where road noise should be obvious. Despite being a diesel engine, its noise isn’t as loud as I expected it to be inside the cabin, offering a more relaxed drive. Steering is very intuitive as well. 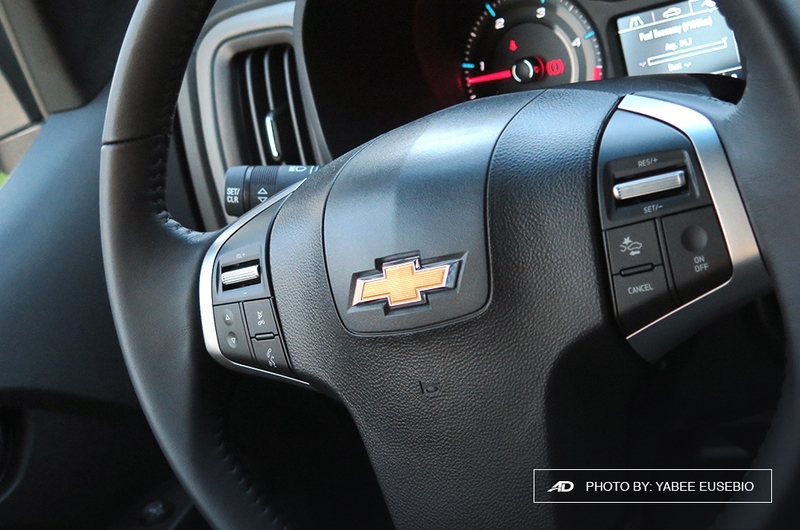 At low speeds, the steering wheel is light yet isn’t numb. 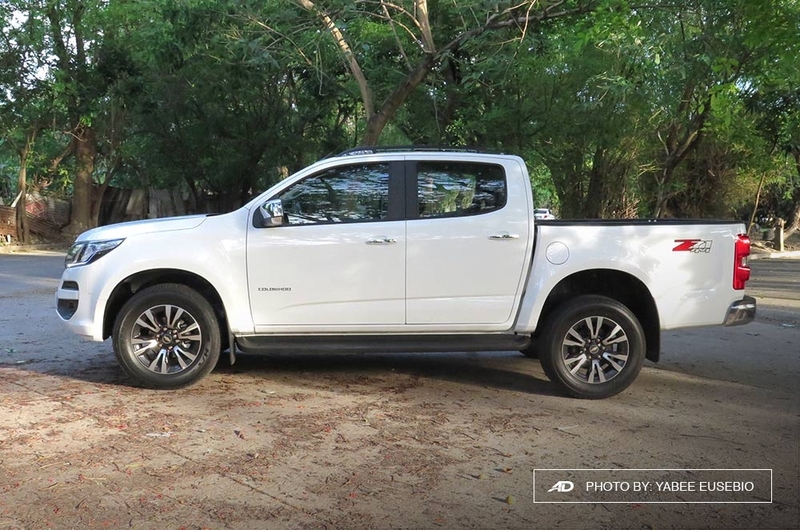 However, with the Colorado’s large size, it made me wish that it had Nissan’s Around View Monitor (AVM) as it was a bit hard for me to maneuver this pickup truck in tight spots. 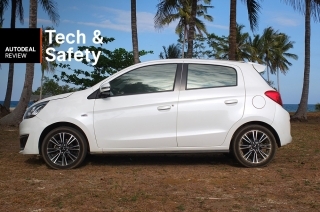 Nevertheless, on higher speeds, the steering turns heavy, which means better input on the highway without too much vibration. 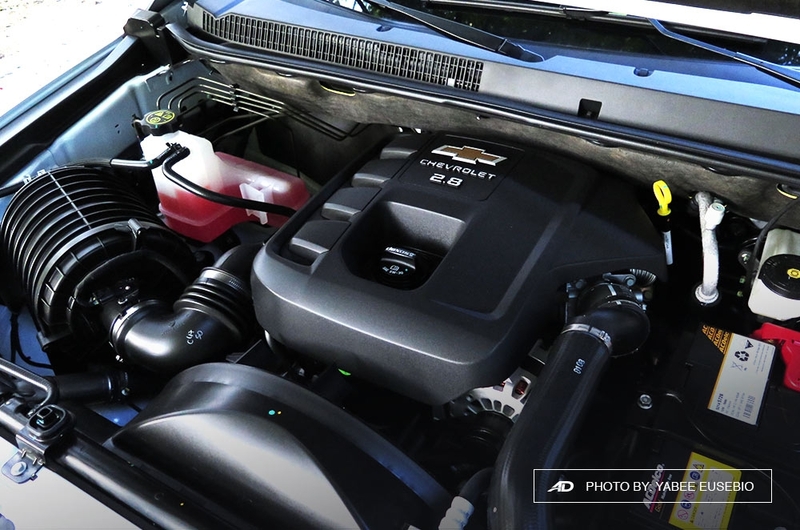 Under the hood of the Colorado is a 2.8L Duramax diesel engine that’s paired to a six-speed automatic transmission. 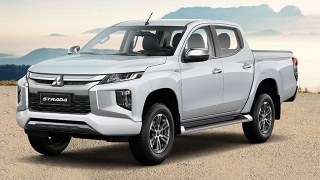 This power plant can dish out a class-leading 200 hp and 500 Nm of torque that's delivered to the ground at a very smooth rate via 4x2 or 4x4 modes. And truth be told, this is one of the smoothest transmissions I’ve ever got the chance to try. 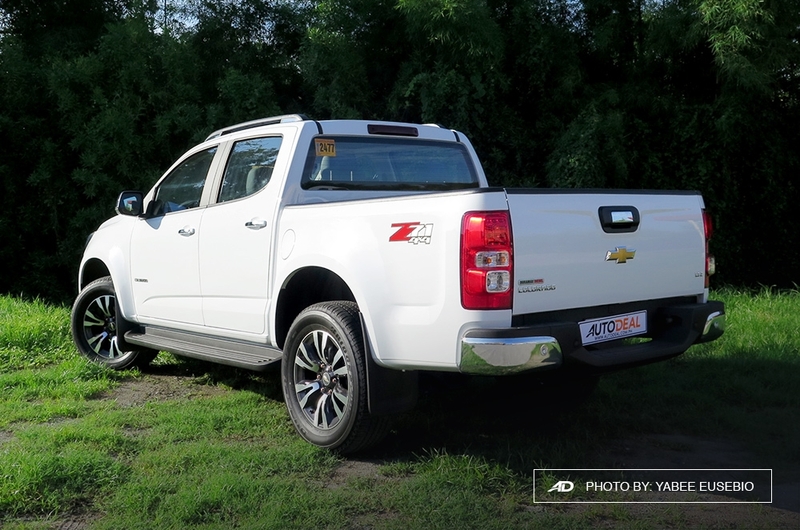 For safety, this pickup truck is loaded with features to help keep its drivers and passengers safe. Apart from the standard airbags, the Colorado has lane keep assist, traction control system, hill start assist (HSA), hill descent control (HDC), brake assist, electronic stability control (ESC), trailer sway control (TSC), and more. One thing that surprised me (literally) was its forward collision warning that went off even if the vehicle ahead was a three or four car’s length away, and travelling at least the same speed as I was. This left me wondering if it was just a glitch or is it that sensitive? If it was the latter, its dashboard alarm is a bit distracting for me. 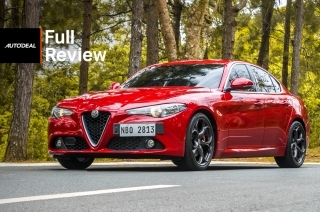 I also noticed that most of the driver aids such as the automatic headlights and rain sensing wipers were too sensitive for my taste. Going through a bit of shade quickly triggered the lights, while weak rain caused the wiper blades to swing really fast (could be the combination of wind and water though). But I’m still glad that the Colorado came with these features. The downside of having the class-leading power figures is that fuel consumption isn’t as economic as you would want it to be, especially with our country’s high fuel prices. 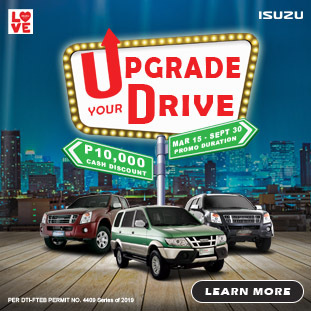 In city traffic, it can only muster up 4.9 km/L, while a fast-paced drive at 60 km/h on C-5 extension can produce 7.5 km/L. A quick drive on Skyway at a steady speed of 90 km/h produced 8.8 km/L, but I think a longer trip would change that figure. 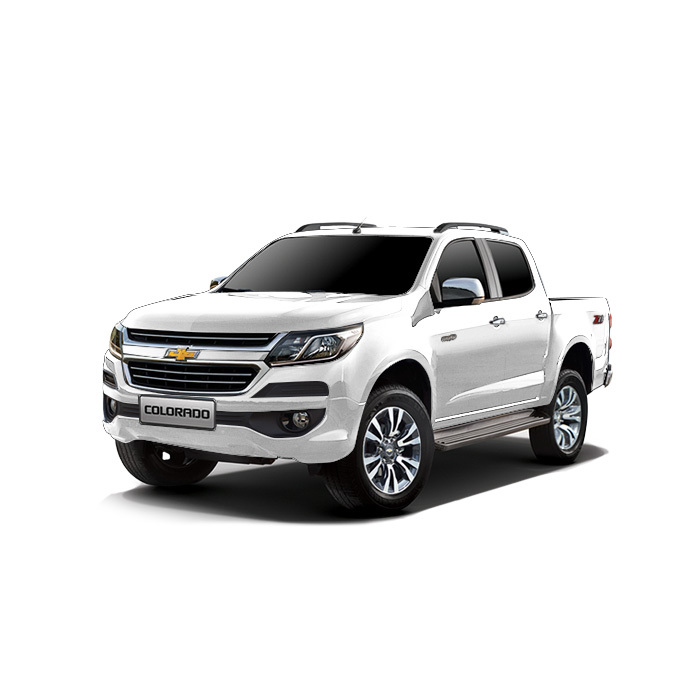 Overall, the Chevrolet Colorado 2.8 4x4 AT LTZ is a pickup truck that combines brute power and luxury in one vehicle. 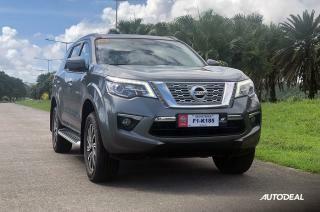 Sans its cookie-monster-like appetite for diesel, its many driver aids, automatic features, class-leading power figures, and comfy, roomy interior are very tempting aspects for buyers searching for a versatile pickup truck. 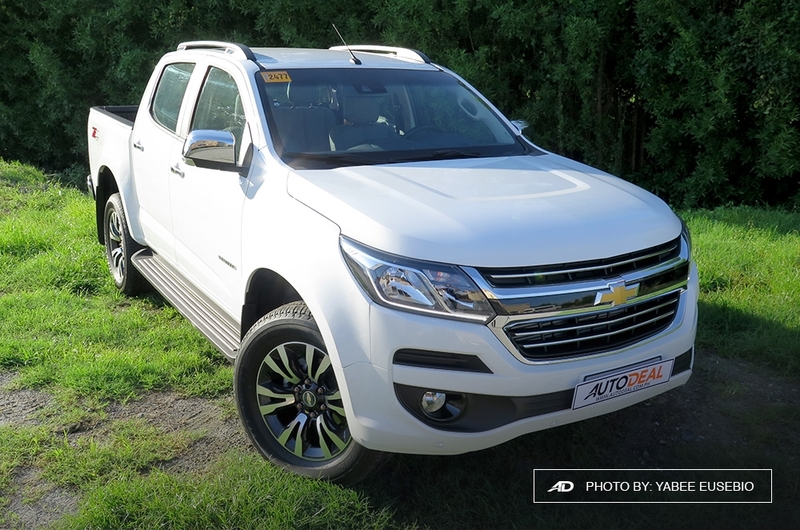 If this isn’t enough to convince you to put this on your wishlist, then maybe the Colorado’s P1,571,888 price tag will, given that this price is lower than many of its competitor’s top-of-the-line variants. 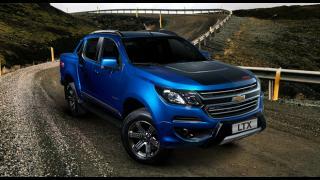 Hi, I would like to receive a financing quote for the Chevrolet Colorado 2.8 4x4 AT LTZ, thank you.